E is for Explore! : My Name in the Stars! My Name in the Stars! 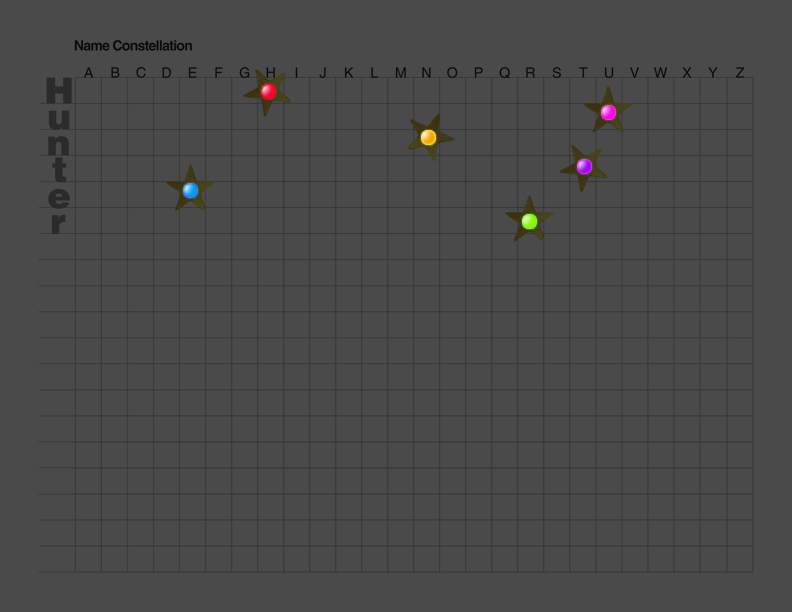 I love the Loco Teacher's name constellation project, so I was inspired to create my own! 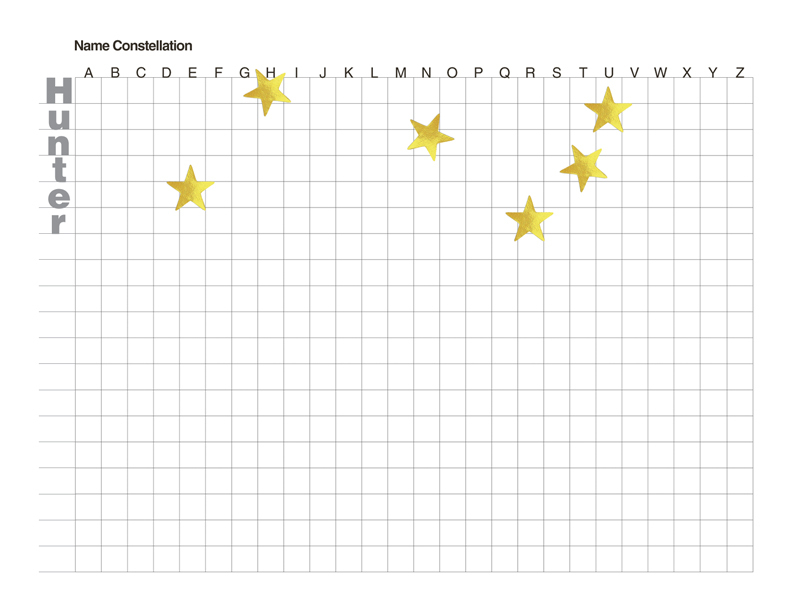 Students practice graphing by mapping out the letters in their name to create a constellation (click here for a freebie). Afterwards, if you have a lite-brite, have students light up the room with their name! Then, have them connect their stars, use their imagination, and create a picture. What does their constellation look like?! For another kid-personalized constellation idea, check out Relentlessly Fun, Deceptively Educational's body constellations!